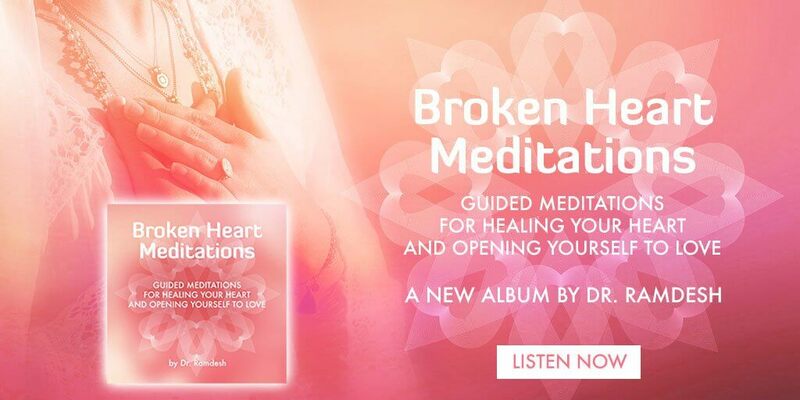 Dr. Ramdesh’s new release ‘Broken Heart Meditations: Guided Meditations for Healing Your Heart and Opening Yourself to Love’ presents a series of powerful tools for healing the heart. 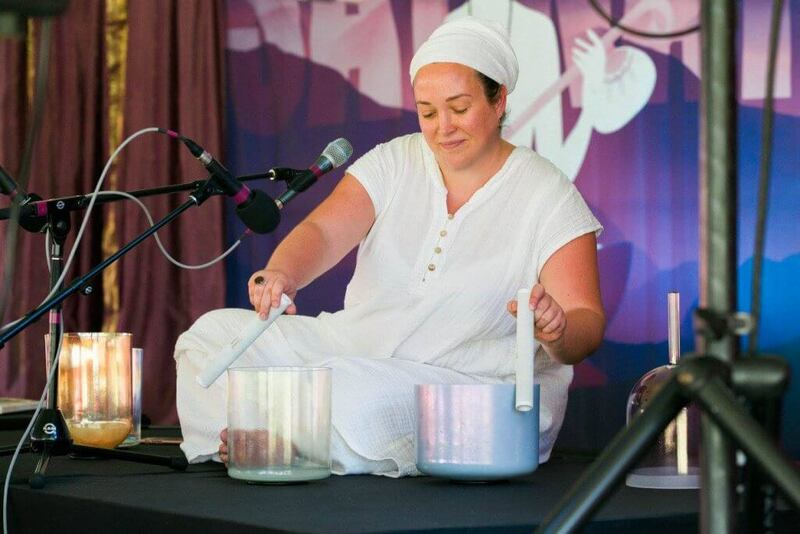 This soothing guided meditation album with crystal alchemy singing bowls offers processes to release past relationships, heal from grief, connect with angelic assistance, and move into gratitude. I went through a major breakup and had to nurse my own broken heart. For my own process, I cocooned myself and began to listen deeply to the needs of my heart. 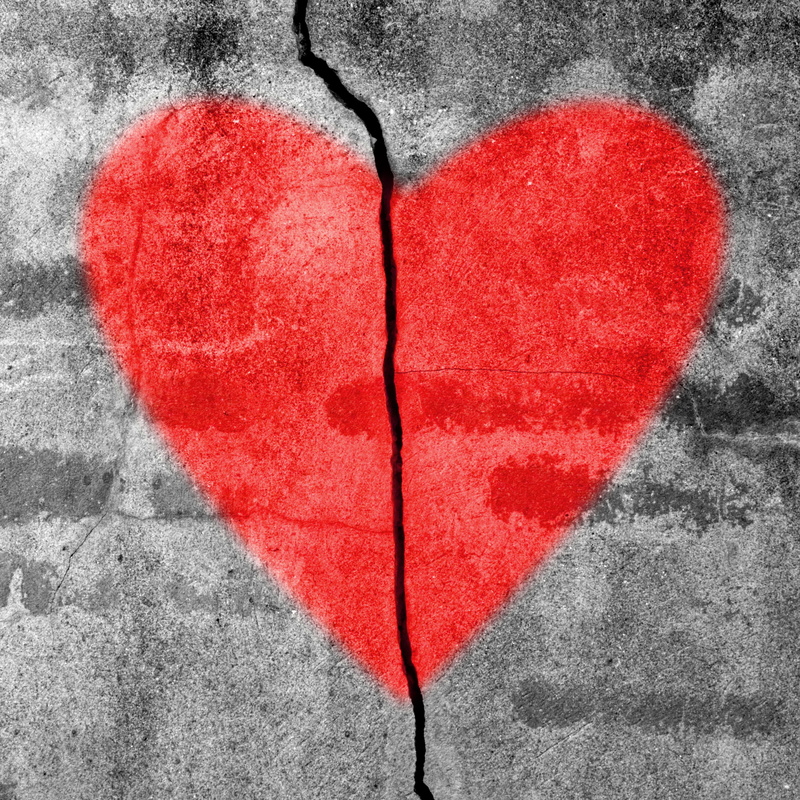 Rather than pushing away my painful emotions, I allowed myself to feel the sorrow, the rage, the grief, to really connect with every emotion that flowed out of my bruised heart until finally all that flowed was love. I very much wanted to do this album and to share aspects of my hearts journey and help other people dealing with a broken heart. What makes this album different from the rest of the albums in your catalog? This is my most emotionally vulnerable album by far. In this album, I narrate my own spiritual practice (the I am Love meditation is something I do every morning, its not a part of any lineage, but it feels right to me), and take listeners on the journey that I walked to heal my heart from my divorce and also from the loss of one of my best friends. 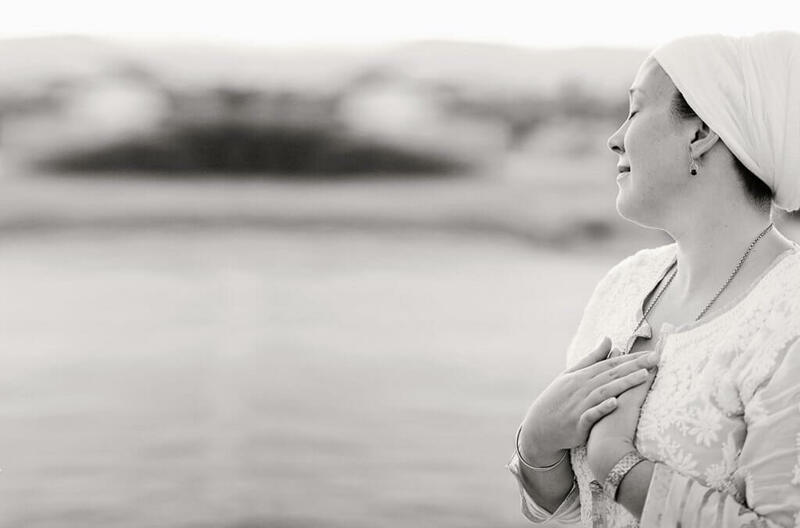 I am honored to lay bear my heart, because I know these processes work to heal. My heart is stronger than ever and filled with peace. Can you share a story from the making of this album? For people who enjoyed by “Guided Meditation for Forgiveness” which is on my album Relaxation Meditations, they might remember me sharing that that meditation was essentially downloaded in real time when I had an experience with the soul of my departed best friend, who I lost to suicide. While I was recording the the Meditation for Releasing Grief, I had a similar experience where the visualization became very vivid, and my friend appeared in my vision. I walked through this grief release process with him the same way that I walked through the forgiveness process with him years ago. Both times, the recordings captured my emotional journey, which I hope supports other people walking through their own. For this album, I just opened up my own personal processes and practices for people. This is what I have used to mend my broken heart and open it to love again. This album was recorded by candlelight surrounded with the energy of hundreds of crystals, in additional to the alchemy crystal bowls that I play on the album (Rose Quartz, Platinum, Charcoal, Emerald, Citrine, Smokey Quartz, Ocean Indium, and Grandmother). Ram Dass Khalsa, my longtime collaborator, plays keys on this album and recorded the entire thing. He’s such a delight, and a sacred space holder for healing hearts himself. I hope they can feel their pain soften and their hearts open again. I think many of us go through painful times in life, and it can be comforting to know that others have come out the other side stronger, and I hope people are supported by the album in their heart’s journeys. Can you tell us a little bit about who you are – what your passions are? I love a garden filled with flowers and a warm cup of tea. That’s heaven to me. Is there any upcoming touring you can share with us? 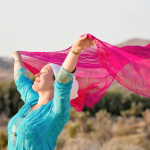 I’ll be at Sat Nam Fest East in August, and I’ll be leading my second annual Body Temple retreat at Kripalu Nov 9-11. I’ll then be traveling to India with Sat Nam Foundation for our 3rd Seva Retreat in Rishikesh, India. 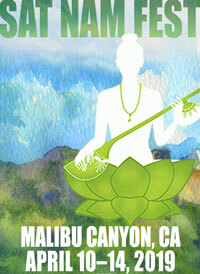 Head to my website www.ramdesh.com for more details!